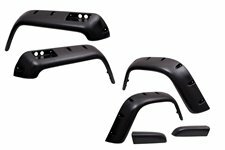 Get that off road look with this 6 piece All Terrain fender flare kit. 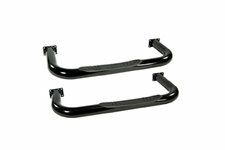 Fits 76-86 Jeep CJ5, CJ7, and CJ8. 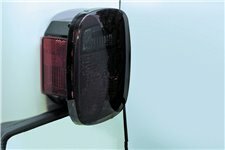 Side gas tank filler may interfere. 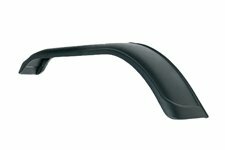 This replacement front fender flare from Omix-ADA fits 55-86 Jeep CJ5, CJ6, CJ7, and CJ8. Right side only. 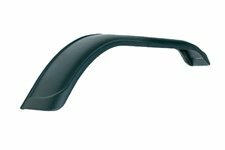 This replacement front fender flare from Omix-ADA fits 55-86 Jeep CJ5, CJ6, CJ7, and CJ8. Left side only. 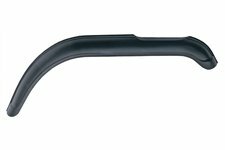 This replacement rear fender flare from Omix-ADA fits 55-86 Jeep CJ5 and CJ7. Left side only. 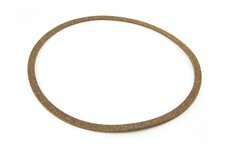 This differential cover gasket fits AMC Model 20 rear axles found in 76-83 Jeep CJ5, 76-86 Jeep CJ7, and 81-86 Jeep CJ8. 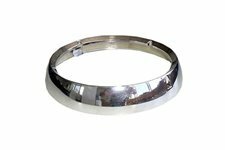 This chrome antenna base from Rugged Ridge fits 76-86 Jeep CJ and 87-95 Wrangler YJ. 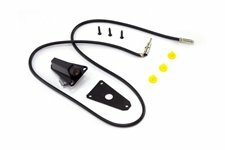 This replacement black antenna base from Omix-ADA fits 76-86 Jeep CJ and 87-95 Wrangler YJ. 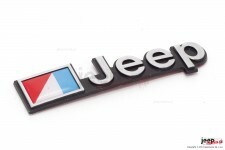 This officially licensed AMC Jeep emblem from MOPAR is for 76-83 Jeep CJ5, 76-86 CJ7, and 81-86 CJ8. 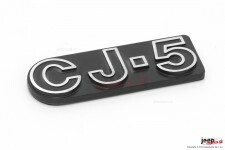 This officially licensed CJ5 emblem from MOPAR attaches to your Jeep with double-backed adhesive tape. 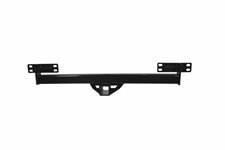 for 76-83 Jeep CJ5. 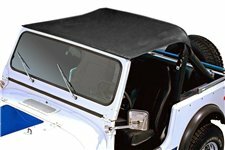 This pair of smoked acrylic tail light covers from Rugged Ridge fit 76-86 Jeep CJ, 87-95 Wrangler YJ, 97-06 TJ, and 04-06 Wrangler LJ. 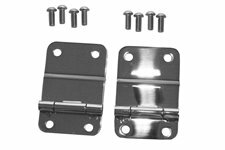 This pair of stainless steel tailgate hinges from Rugged Ridge fit 76-86 Jeep CJ7 and CJ8. Includes mounting hardware. 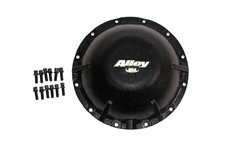 This 3/8 inch thick cast steel heavy duty differential cover from Alloy USA fits 76-86 Jeep CJ with AMC 20 rear axle. 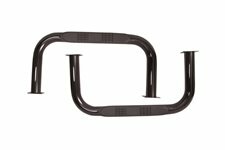 These black powder coated nerf bars from Rugged Ridge have step plates. 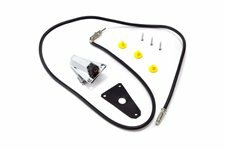 Fits 55-75 Jeep CJ5. Mounting hardware included. 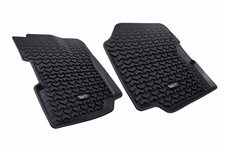 This pair of black 3 inch round tube steps from Rugged Ridge features non-slip step pads. Drilling required. They fit 76-83 Jeep CJ5. This 7 inch-wide right front fender flare from Omix-ADA fits 55-86 CJ5, CJ6, CJ7, and CJ8. 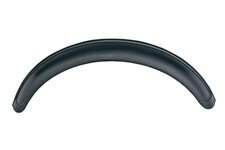 This 7 inch-wide front fender flare from Omix-ADA fits 55-83 Jeep CJ5, 55-75 CJ6, 76-86 CJ7, and 81-86 CJ8. Left side. 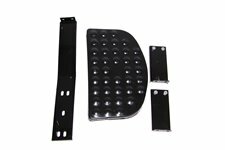 This pocket-style fender flare kit fits 76-86 Jeep CJ-5, CJ-7 and CJ-8, offers 4.75 inches of extra tire coverage. 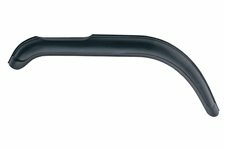 Side gas tank filler may interfere.